Home Roofing What Can A Roof Cleaning Do For You? Could something as simple as hiring an expert roofing contractor to clean your roof prevent you from having to have a new roof installed? It just might. If there are structural issues those will need to be addressed, but a thorough roof cleaning can remove mold as well as make it more appealing. Because a roof is (naturally) exposed to the elements 24/7/365 it only stands to reason that without proper care it will not last as long as you’d anticipated when you had your roof installed. If your roof has black streaks, algae or mold, the sun is not reflected away from the roof which increases the heat in your attic and lead to higher air conditioning bills. Having your roof professionally cleaned is an economical solution to cleaning the roof and helping to increase the lifespan of the roof. A cleaning can protect the investment you’ve made in a roof project. What goes into a cleaning process? Depending on the style of roof you have on your home, there are various methods that are utilized to clean the specific roofs whether you have a concrete roof, ceramic tiles or shingles. Be advised that cleaning a roof is a process that can lead to dirt and debris falling onto the areas surrounding, and under the roof, including your siding, porches and yard. Your roofer will have a “reclamation system” to capture the used water as well as the debris that comes off during the cleaning process. If you notice that your roof is looking moldy or if you see black streaks, it may be time to contact us about a roof cleaning project. 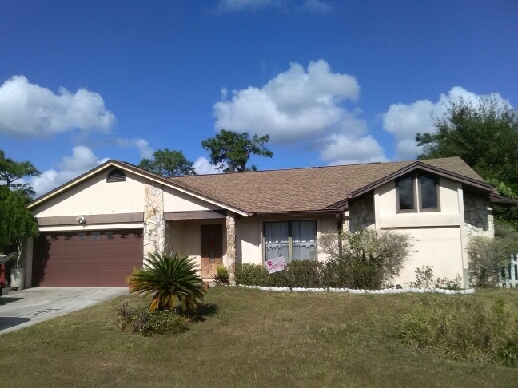 Call an Orlando Roofing Expert like City Roofing and Remodeling to clean your roof today!